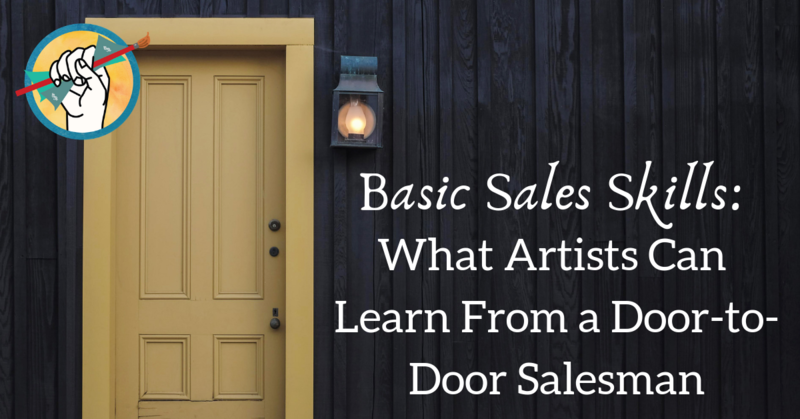 Every artist needs good sales skills to successfully sell their work. Understanding your unique value proposition is the first step, followed closely by practicing the right body language and active listening that will communicate confidence and competence to your potential buyers. These skills lay a great foundation upon which to build a trusting rapport with your customers. When you sell your work, you’re not just selling a piece of art; you’re selling yourself, and your collectors will not buy from you if they don’t trust you. When you think of the word “trust” it’s unlikely that a door-to-door salesman immediately comes to mind. Pencil artist Owen Garratt of The Pencilneck, however, has broken the mold. He began his art career as a door-to-door salesman selling other people’s art to businesses, and what he learned about honesty and sales along the way has made him incredibly effective at selling his art. These principles have been condensed down from a much longer interview, which you can listen to here: What a $1 Million Art Business Looks Like With Owen Garratt. When Owen was selling other people’s art door to door, he recognized the value of simply telling the truth. He recognized that, although it’s tempting, putting a fancy, salesy spin on the proposition wasn’t effective in the long term. In fact, rather than increasing sales in the long run, smooth talking and spinning the offer usually ends up hurting the customer’s trust. And though they may buy something in the moment, it’s usually just to get rid of the pushy salesperson. A pushy, “salesy” strategy is an excellent way to kill your business, because it’s nearly impossible to create return customers when the only reason they buy something is to make you go away. The alternative? Just tell the truth. In a sales setting, leading with your pitch is a quick way to lose a customer. Nobody wants to have a sales pitch shoved in their face by a stranger. You must first build a rapport with your potential collector. This is why stories are so incredibly powerful: they’re an amazing way to ingratiate yourself with your collectors. Owen Garratt is a master of telling fascinating and endearing stories. His website, and especially his blog, are his primary outlets for this knack for storytelling, although you’re likely to experience it in person as well. Although Owen seems to possess a natural penchant for entertaining, that doesn’t discount the fact that it’s also a carefully crafted skill, which he uses to ingratiate himself with new clients. It comes down to: people like stories. And… if you think back, chances are your best memories of high school, the teachers that you liked the best, weren’t the ones whacking the rulers on the desk and making you do your times tables over and over and over til you memorized them. There was an engagement there, there were stories, there was actual communication, and they made these subjects interesting. And there’s lessons in that example; you don’t have to be Tony Robbins. The world has one, and that’s good, that’s enough. It’s about finding who you are and finding a method of delivery. -Owen Garratt. This may sound familiar if you’ve been reading along with our recent series on Basic Sales Skills. Body language expert Vanessa Van Edwards also believes that in order to sell effectively, every artist must find their own brand of charisma. You don’t have to have any door-to-door selling experience to make a killing selling your art both online and in person. But in spite of his humble beginnings, Owen Garratt now runs a million-dollar art business. So you can take his word for it that telling the simple truth and making genuine connections with your clients through compelling storytelling will make a real difference in your ability to create -and keep- new customers. If you find yourself still struggling to close any deals, you’ll want to review 10 strategies to improve your art sales. Have you figured out how to tell your stories? 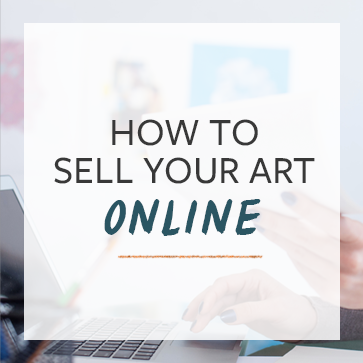 If not, How To Sell Your Art Online 101 could change everything for you. Check it out here.